Digital, Marketing & Business leader with deep consumer understanding & strategic perspective built about 17 years of Digital Marketing, E-commerce, Digital Product Management, Brand, Media & Research experience across diverse categories spanning financial services, media, IT peripherals, beverages & automobiles. Amit Tandon is a Business Leader, author and avid Speaker. 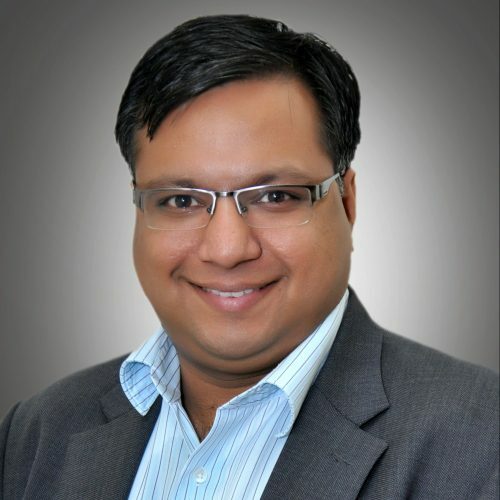 An IIM Ahmedabad & NSIT alumnus with over a decade of experience in leading businesses, strategy and P&L, he is currently heading business, strategy, Marketing and P&L for brand business at HealthKart that has transformed itself from being an e-commerce organization into a digital first brand company in nutrition space. He has previously worked at the Tata group under their coveted TAS leadership program and also as a General Manager at TaxiForSure. 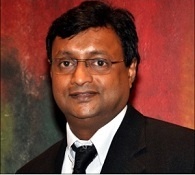 He also actively writes for publications such as ETHealth, ETRetail, ETBrandEquity, ETTech. Passionate about technology he also holds a US Patent for designing a level shifter. 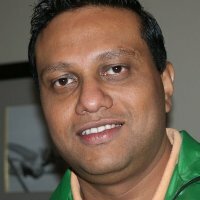 Anil Kumar Singh comes to [email protected] with more than 17 years of experience in digital advertising. currently working with [email protected] as a National Director of SEO. There he is Accountable for the agency’s SEO and content vision, and managing the growth of the product by overseeing the SEO Leads, supporting the Client Services team, and playing an active role in New Business opportunities. 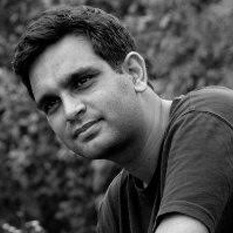 He was previously India Head of SEO in Interactive avenues, Digital arm of IPG Mediabrands . He had built SEO team & business from scratch and stabilised IA into a leader in SEO for the Indian market working with major brands like ICICI BANK, Micromax, Cleartrip, SBI, Mahindra & Mahindra, GENPACT,Dishtv, Airtel and BookMyshow. Anil helped Interactive Avenues SEO Business reach scale in less than 3 years. Apeksha has worked with some popular brands in the entertainment industry. She started her career with MTV. She worked with Zee Entertainment Enterprises Limited for 8.5 years handling marketing for channels Zee TV and Zee Cinema &amp; OTT platform, Ditto TV. She worked as DVP Digital Marketing and Strategy and spearheaded their Digital Initiatives. 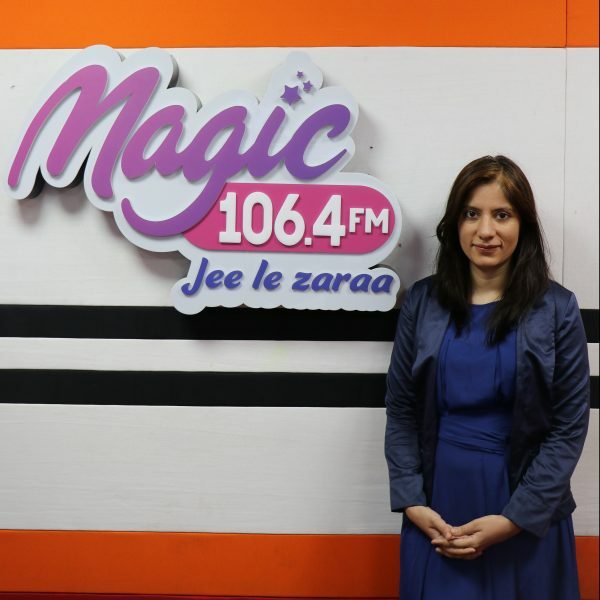 Further to joining Magic 106.4FM, Apeksha served a stint at Amazon Bangalore, where she was working with the Amazon Seller Services team and took care of Marketing, PR and special projects for Amazon Sellers. At Amazon she spearheaded the project for the empowerment of women entrepreneurs on the platform along with working on some award-winning marketing campaigns. value of 4.46 Bn US$. Between 2014-18 the HCLT brand campaigns won 130 global awards. at ISB, IIM-A, IIM-Raipur, FMS, IIMC, IMI, MICA, Great Lakes etc. 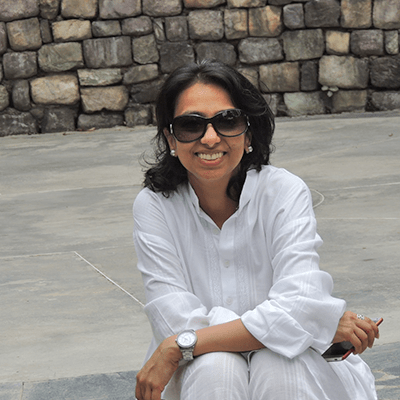 Archana Aggarwal is a passionate media advocate with 20+ years of media experience. She has worked across multiple brands at both media agencies and advertiser. Her last assignment was Country Media Manager, P&G where she spent 8+ years and has now been with Airtel for last 3+ years as VP, Media. She was instrumental in P&G winning their first Cannes in India in 2006 post which they won many prestigious international awards for the Gillette Shave India Movement. She also led media for the high decibel launch of 4G and Payments Bank in India. She identified ideas like Sim sampling with Economic Times, Roshandan and Google countdown clock. 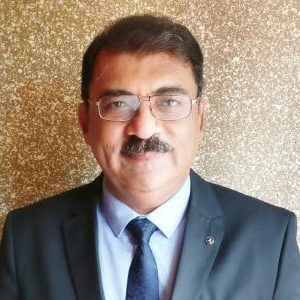 Mr. Balaji Vaidyanathan is an integrated marketing and communication specialist with over 15 years of extensive experience in Financial Services. 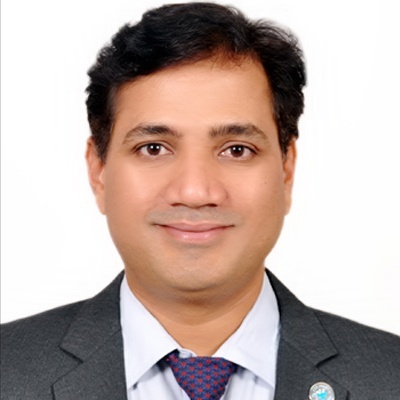 As Deputy Head – Marketing for Franklin Templeton Investments, Mr. Vaidyanathan is responsible for building the marketing value proposition and leading key brand initiatives for the firm in India. Franklin Templeton Investments is a global investment management firm headquartered in San Mateo, California with over 70 years of investment expertise across 35 countries and with assets under management of close to US $750 billion. In India, Franklin Templeton Mutual Fund has a rich heritage of over 2 decades of managing investor monies. 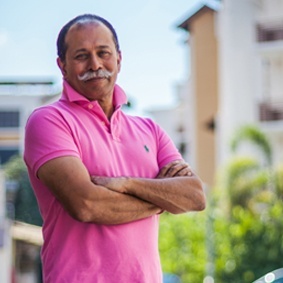 Mr. Vaidyanathan’s priority is to make consumers in India and other parts of the world aware of that little thing called Mutual Funds and how it can help change their lives in the long run. However, given that most consumers live in the present and hence, planning for one’s future is hardly a priority, it gets kind of interesting and challenging at times. Mr. Vaidyanathan has been a pioneer in the Indian Mutual Fund industry with his initiatives on using gamification and video content to promote investor education in the online space. 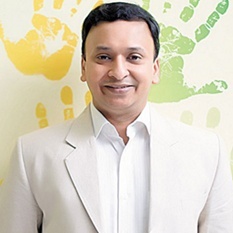 Prior to his current stint with Franklin Templeton Investments, Mr. Vaidyanathan was associated with other financial services brands like Edelweiss Financial Services and Birla Sun Life Mutual Fund in key marcom roles. He has a lot of experience in building brands and acquiring users through both digital and offline media. He has launched and managed several brands as Marketing lead, all of them contributing to significant improvements in market share and brand KPIs. 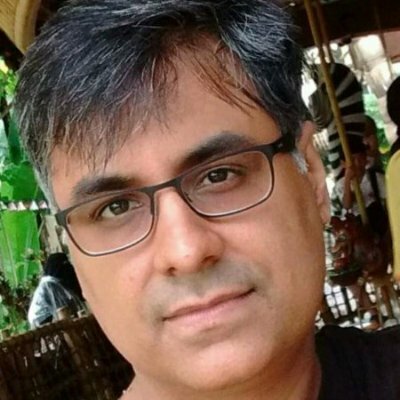 His experience spans across companies in FMCG (Reckitt Benckiser, PepsiCo, Marico), media (HT Media), consumer internet (HolidayIQ.com) and education (Manipal Global). He is also a published author (having written five books) and a regular columnist. 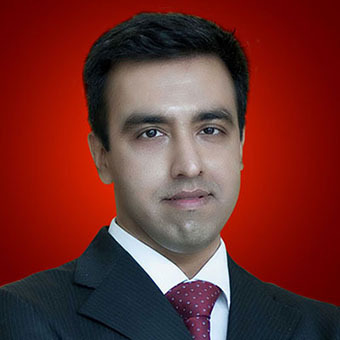 Mr Gagan Singla is the Chief Marketing Oﬃcer of Angel Broking and the core member driving Angel in its growth trajectory in the digital world. A technologist by training and marketer by passion, Mr Gagan Singla is one of those rare professionals who can simultaneously handle responsibilities of a marketer and a data scientist. In fact, his analytical, data-driven approach adds a new dimension to marketing. With unmatched skills in Marketing, Technology and a thorough understanding of Analytics, Mr Singla is leading the Digital Transformation at Angel Broking. Mr Singla’s Core Competencies include digital and mobile strategy, digital marketing and scaling, customer analytics and insights, product management, data and technology driven enterprise transformations, brand building, Corporate Communication and E-Commerce. With more than 12 years of experience – primarily in delivering large analytics-driven transformations across multiple sectors and geographies, Mr Singla is the go-to man when it comes to devising strategies that are extremely focused and stakeholder-speciﬁc. In his eventful professional career, Mr Gagan Singla has worked with prominent names like Hughes, PwC, Deloitte and Quikr India with extensive assignments in the UK and the USA. Prior to coming on-board with Angel Broking, Mr. Singla was the global CMO of Simplilearn, an online education provider of professional certiﬁcation training, based in Scotts Valley, California, USA. Mr Singla contributed signiﬁcantly to Simplilearn’s marketing eﬀorts in India and Global Markets. Dame-Mendoza School of Business at Indiana. Apart from his inspiring and insightful speeches, Mr Gagan Singla has also co-authored multiple research publications in the area of Graph Theory and Data Mining from the esteemed American Mathematical Society. Mr Gagan’s reputation as an inﬂuential personality comes with his membership of the Advisory Board of the prestigious DMAI (Data-driven Marketing Association of India). A Graduate in Computer Science & Engineering from Indian Institute of Technology (IIT) Delhi and Master’s in Business Administration (MBA) in Finance and Systems from Indian Institute of Management (IIM) – Lucknow. His deep understanding of technology and customer behavior, coupled with his aﬀable nature, make him a highly distinguished individual. Under Mr Singla’s dynamic leadership, Angel Broking has accelerated its all round digitization journey. Mentioned below are his prime contributions:. Digi-Pitch consisting of Digi-Web, Digi-Talk, Digi-TAB and its integration with DKYC, where technology goes to the customer than the other way around has become a game changer. Further, several back -end automation initiatives were undertaken to ensure faster activation of newly on-boarded customers. It is the ﬁrst time in the history of broking industry where a customer can open a paperless account at his doorstep and can start Trading within 1 hour from completion of KYC. With an objective to continuously enhancing customer experience, Mr Singla lead the development of a Digital Servicing Platform that ensures uninterrupted customer service through paperless and real time feedback and review mechanism. Customers can interact with company not only through APP but also through Social Media Platforms. Further, eﬀective use of Artiﬁcial Intelligence and BOTs, Mr Singla helped the company build an automated customer feedback and complaint resolving mechanism. Digital Marketing: A reach-out program where target customer group is approached with unique creative campaigns. The initiative also focuses on sharing market insights and educating the target population through various interactive medium thereby helping them to take informed investing decisions. A unique initiative ‘Digi-thon’ was launched to engage Business Partner on the digital platform. Digital Brand Building: The activity kicked oﬀ with revamping the Company Website, making it more responsive, simple and optimized. The activity also involved roll-out of Online Advertising campaigns. The company bagged prestigious awards for the industry on the same. Jürgen Hase is the CEO of UNLIMIT wherein he is responsible for strategic planning as well as the growth and expansion of Unlimit. He plays a crucial role in strategizing and overseeing the execution. Jürgen has been a part of Unlimit ever since its inception in 2016. In less than 2 years, he has implemented all the relevant IoT layers, right from managed connectivity to device management and application software to any form of analytics, setting a global benchmark in implementing IoT services. With over 20 years of experience in the global telecommunications industry, Jürgen has extensive IT expertise spanning technical and solution engineering to strategic alliances, keeping in mind the needs and requirements of the Indian market. In parallel, Jürgen is also the founder of a partner certification program for all relevant IoT services for Automotive, Industry 4.0 and Transport & Logistics industry. 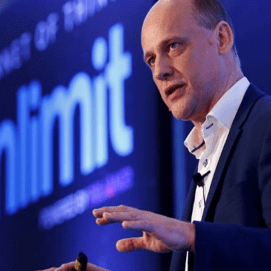 Prior to joining UNLIMIT, Jürgen was the Director of IoT / M2M at the Ooredoo Group where he was responsible for the overall IoT activities and services in Middle East, North Africa and South Asia for multiple vertical segments such as Automotive, Telematics, Smart Cities, Healthcare, Insurance and Energy. Previously, Jürgen was also the Vice President for Deutsche Telekom and Founder of the M2M competence center at the organization. 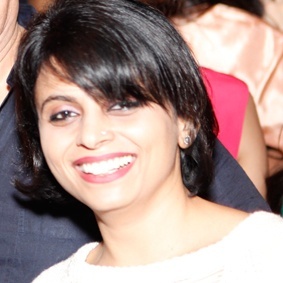 Kavita has 20+ years of experience in Marketing & Communication. She has high calibre professional experience in marketing, corporate communications, media outreach, internal communications, digital media, corporate social responsibility programs at start-ups as well as large companies in the Asia Pacific, Europe, and North America. She has won the Top 25 CMO award by Global CMO council, 2014, Global Women leadership Award, World Women Leadership Congress & Awards 2014. Kavita has also co-authored and published an exclusive coffee table book with Sachin Tendulkar for Royal Bank of Scotland. Kavita has held leadership roles in communication at Royal Bank of Scotland as the Chief Marketing & Communications officer, India, JP Morgan as the country head of Marketing, Corporate Communications & CSR Programs, India and most recently at HSBC as Country Head, Communications. 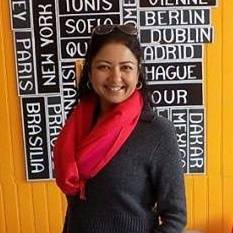 Before moving to India, Kavita has worked with Symantec & Iron Port Systems, San Francisco, McAfee Inc. Della & James.com and at Apple Computer. Kavita received her MBA from Purdue University, West Lafayette on Marketing Strategy & International Marketing and is also an M. Com holder on Marketing & Economics from Sydenham College. Having worked with a diverse set of companies & brands that are leaders in their space, she is a marketing leader who is performance focused and collaborative and believes in leading the marketing function as a critical business enabler, owning KPIs’ both at a brand and customer level. Her strength lies in having an entrepreneurial mindset and hence tends to take on brand challenges as a personal challenge, whether it be new launches, startups, global brands coming into India or established brands seeking a new customer base. An avid trekker, she takes off once a year to unexplored virgin peaks in the Himalayas and when in Mumbai finds her peace in running. 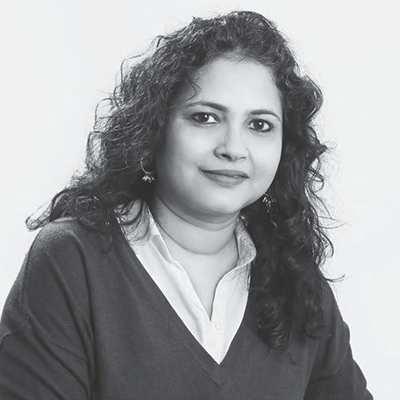 Coming from a family of Advertising professionals, she has derived her training in advertising from Damodar Warrior, (ex Creative Director JWT) one of the leading creative gurus of Indian Advertising. She managed an advertising agency for more than 25 years and now is a branding and marketing consultant. She is Brand Director at UJA, a global advisory and business consulting firm, where she is responsible for GTM strategies, marketing and branding advisory to international companies coming to India. Her core competencies lies in developing branding and marketing strategies, design & aesthetics, brand building, having serviced various B2C and B2B brands (process, food, hospitality, wellness, entertainment, manufacturing, retail, real estate, infrastructure etc). She has a special interest in providing branding and marketing strategies to startups and social enterprises. Over the last 15 years she has been invited by all the leading management and mass communication institutes in Pune as a visiting faculty. Her area of expertise is Advertising Management, Integrated Marketing Communications and Brand Management. PICT School for Information and technology management. Conducted workshops on branding for women entrepreneurs under the Goldman Sach’s Women Entrepreneurship training program conducted by ISB and SIIB. 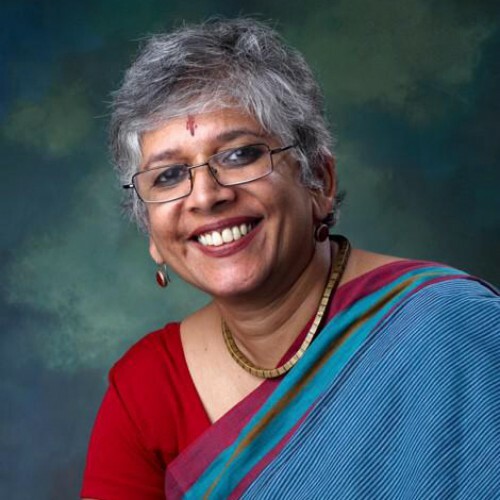 She conducts creativity workshops / training programmes for industry professionals, corporates and students. These training programs and workshops help to discover and build creative thinking. 1988 – Best poster design award by CEAD, Pune for poster on propagating agroforestry for BAIF. Was invited to anchor the communications committee for ‘Branding Pune’ initiative by Mahratta Chambers of Commerce, Industries and Agriculture (MCCIA) and Janwani. She is well-networked and is respected for her expertise and business ethics. 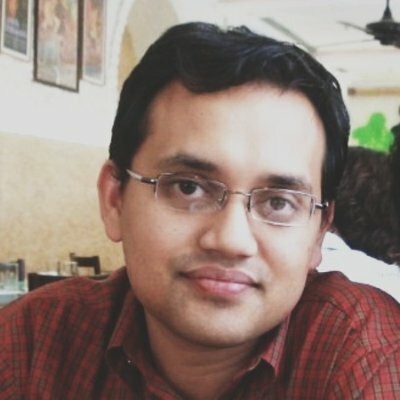 Naveen Kukreja is the CEO & Co-founder of Paisabazaar.com & CMO of Policybazaar.com. 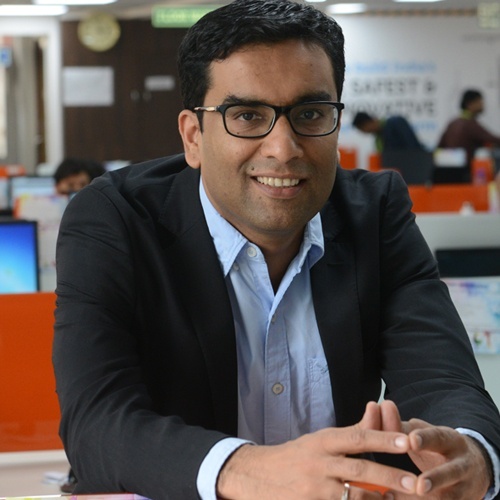 Policybazaar.com & Paisabazaar.com are India’s largest marketplaces for insurance and lending products respectively, and one of India’s few startup unicorns with a valuation of over $ 1 billion. Naveen has an experience of over 17 years in the financial services markets of India and Europe, having worked with Citibank in India, Capital One Bank in the UK and as the Senior Vice President of Marketing and Strategy at Aviva Life Insurance, where he set up and led the digital business and took it to #1 in digital insurance, during 2011-14. 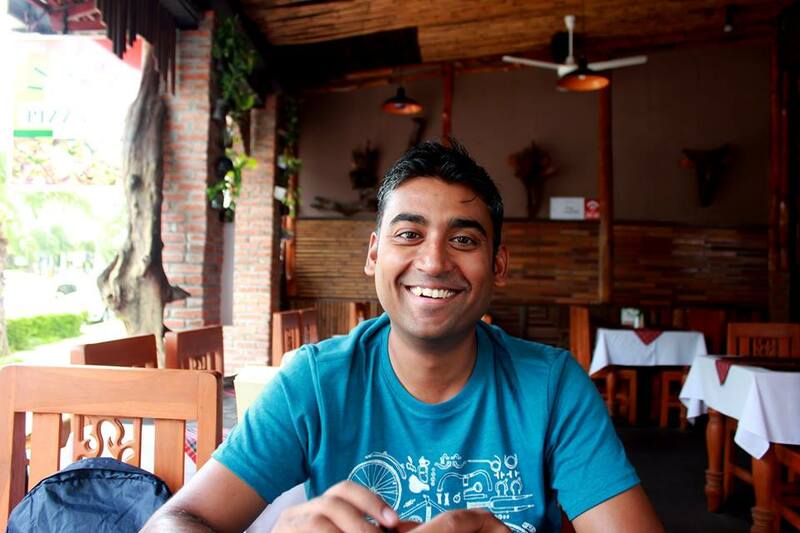 Naveen co-founded Paisabazaar.com under the Policybazaar Group in 2014. Under Naveen’s strong leadership, Paisabazaar.com has grown consistently at 170% p.a. since inception. Today, it is the only independent online platform to disburse 1 billion dollars annualized in a financial year. Paisabazaar.com partners with over 75 banks and financial institutions and offers more than 300 products to meet all lending and investment needs of consumers coming to its platform. Paisabazaar.com has been conferred with ‘The Best Fintech Brand’ in 2016 and 2018 & ‘Best Digital Platform for Credit Cards 2017’ by the Economic Times, India’s most read financial daily, among several other honours received in the last four years. 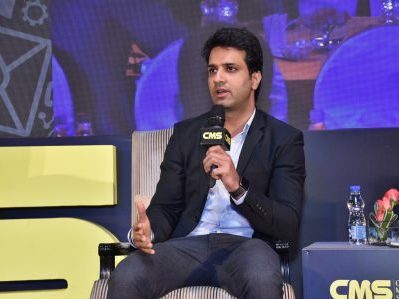 As the CEO & Co-founder of the biggest lending platform in the country, Naveen’s contributions have been widely recognized at prestigious industry platforms. He has most recently been felicitated by Business World with the ’40 under 40’ award – a recognition to India’s top 40 leaders under the age of 40. Some of his other awards include ‘Most digital savvy ecommerce Marketer of the year’ by Internet and Mobile association of India and ‘One of 25 most influential e-commerce Professionals’ by CMO Asia. Naveen is also an industry influencer and one of the most prominent faces of India’s fintech industry. He is a key part of several industry platforms and forums, advocating policy and regulatory changes to the government and regulator(s) to create a more favourable financial ecosystem. Naveen is an alumni of prestigious institutes like IIM Calcutta and the Delhi College of Engineering. them for 2 years now. nutrition start-up, Health Raga and was instrumental in setting up its e-commerce channel. technology to his various roles. enjoys travelling to islands and is an avid open water diver. A dynamic professional and proud recipient of the prestigious award – ‘Best PR & Corp Comm Head Of The Year’ across all Media organisations nationwide. Adept at Corporate Communication and Public Relations, Brand Building, Content — through strategic narratives for several sector-leading brands, Video and Digital content creation — and Brand Ambassador training. In an illustrious career spanning 26 years, associated with august organisations like Adfactors Public Relations, Sony Entertainment Television, MAX, The Times of India Group, INX Media (9X, 9XM), Eros Multimedia’s B4U, Sahara One Media & Entertainment, Zee Telefilms, All India Radio, Times FM and DD. Chief Marketing Officer & Head of Special Initiatives for Oxigen Wallet – a mobile wallet for the Urban youth . Her role encompasses developing Go- to-market Strategy planning & budgeting, 360 degree campaign and communication – across owned, earned and paid media with focus on brand Building, Customer Acquisitions,Retention & Engagement . She is experienced in working for large corporations as well as in start up environments. Rahul helps marketers break down the silos in Digital Marketing and achieve a unified view of their customer, across marketing channels and devices. By leveraging the search “intent” signals into Display, Social and Video advertising, and enabling personalization at scale. He helps digital marketers in making their practice more efficient and accountable. As a Digital Marketing Practitioner in his previous role, he had played an instrumental role in building India’s largest non travel e-commerce almost from scratch. Armed with this knowledge of knowing what really works, he now endeavors to help other advertisers surpass their goals and expect much more from Digital with the most advanced and comprehensive Digital Marketing Platform available in the market: DoubleClick by Google. He has been featured on CNN Money and Fortune magazine for one of the “6 ideas for changing the world”. He has been awarded the Best Digital Marketing Professional Award by the CMO Council and World Brand Congress. Rahul is extremely passionate about Digital Marketing and Technology, likes doing things differently and is very fond of traveling, trekking, food, squash, badminton, and swimming. Specialties: Digital Marketing, E-commerce, Social Media, Online Analytics, Mobile & Internet technology, Business Strategy, Consulting, Product Management, Business Development, Evangelism, Start-ups. 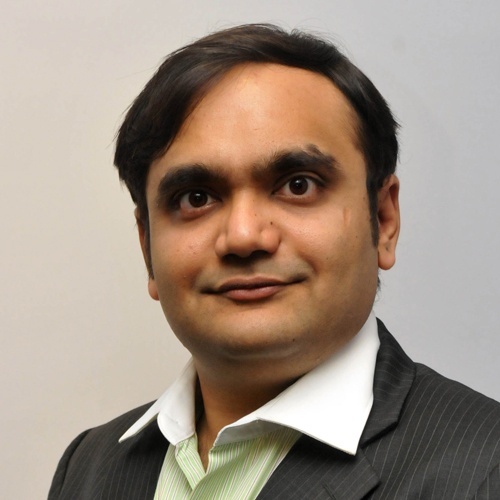 Rishikesh Utpat is currently leading Digital programs in LTI and has led Digital channels for Banks prior to this. He is a leader in digital led transformation space and has mentored his global clients across banking sector, on their strategic digital transformation journeys. He is passionate about delivering immersive Customer Experience by leveraging emerging technologies, and works actively with Fintech/start-ups ecosystem in conceptualizing Business IT solutions that blend right mix of Digital and Physical. Subin is an accomplished banker and has held senior positions at leading financial institutions like Bankers Trust Company, Deutsche Bank, Bank of America, Merrill Lynch, and Standard Chartered Bank. He has led and managed sales teams and executed sales strategies in the commercial banking space in every country in Asia and has managed portfolios of over $25bn in assets and $300mm in revenues. Subin is also an acknowledged actor, having appeared in over a dozen TV productions and over 25 theatre productions – being twice nominated for “Best Actor” at the Singapore Life Theatre Awards. Driven by his passion for the arts, Subin set up Spuul in 2012 and has been driving the development of the business and the platform to bring Indian content to users since. His Spuul venture is also based on his absolute conviction that on-line streaming is the pre-cursor to the world of virtual cinema across the world and to this end; he is investing his energies strategically to grow and diversify the business. thorough experience of brand building. 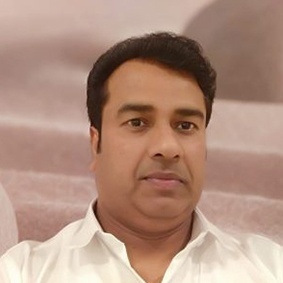 A service marketing specialist, Sumanta is an MBA with over 18 years of Sales, Marketing & Brand Management experience across leading companies in Healthcare, Insurance, Telecommunications, Retail & Advertising in India as well as International Markets like Africa, Middle East & Far East. Talented leadership level senior sales and marketing professional with multi-industry experience in growing revenue through aggressive sales and brand management with a strong ROI focus. Strong record of revenue delivery and implementing innovative strategies across multiple product categories that result in long-term brand equity maximization and revenue enhancement. Intrapreneural attitude that leads to set up departments & teams from scratch and inspire them to achieve stretch revenue goals. Proven ability to manage brand growth from concept through launch onwards to growth and revenue maximisation. Excellent exposure to international marketing with capability to conceptualise, design & successfully execute go-to-market strategies in Africa, Middle East & South Asia.